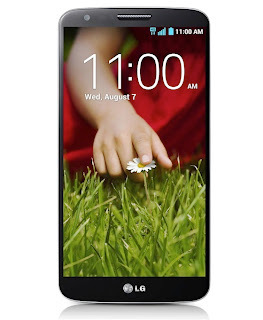 LG's next flagship is now a reality with the announcement of the G2. As we reported yesterday the G2 is coming packed to the gills with hardware with a 5.2-inch 1080p IPS display, 2.26GHz Quad Core Snapdragon 800 Processor, Adreno 330 GPU, 2GB of RAM and a 3000mAh battery. Two of the most noticeable changed on the G2 are the hardware buttons and the bezel (or lack thereof). Instead of the buttons being mounted on the sides like every other phone, is now foudn on the back of the device. Right below the speak you find the volume rocker with the power button right in the middle. It will remain to see if this is more ergonomic than traditional button layouts. The G2 is also packed with an insane amount of software features from floating video capabilities, to camera in camera modes and even contextual apps that open automatically depending on what you plug into the device. Word is that the G2 will be headed to multiple carriers in Canada and we would not be surprised if it hit at least the Big 3 Rogers, Bell and TELUS and perhaps the new entrants WIND, Mobilicity and Videotron.